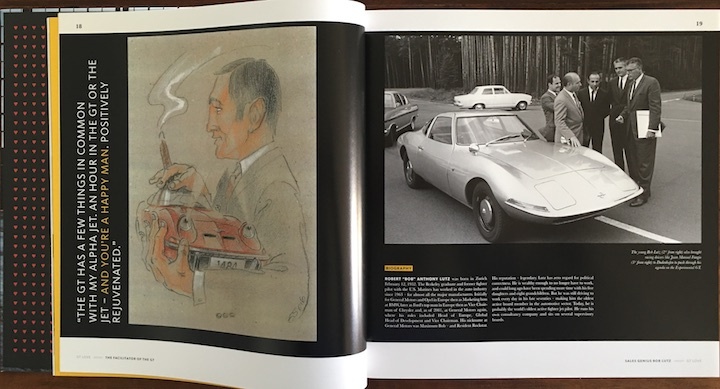 In 2018 it’ll be 50 years since the original Opel GT was unveiled (there was a 2nd generation—equally short-lived—after a 34-year hiatus, basically a rebadged Saturn Sky/Pontiac Solstice) and this book seems to be the only one beating the drum for the “German Corvette.” While several technical and restoration books have appeared over the years there has not been a GT model history in a long time and certainly this is the first one to include the GT Concept of 2016. 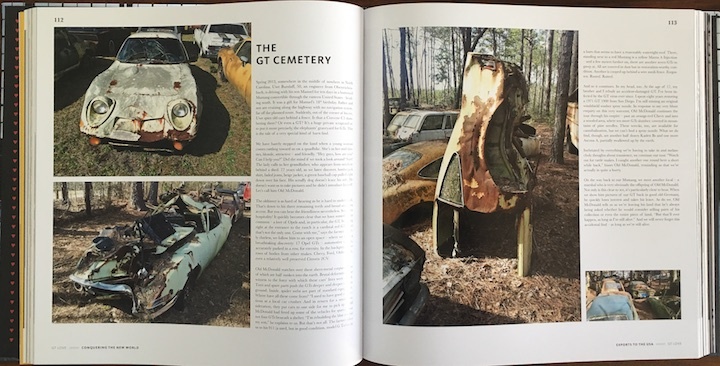 Surely it is entirely coincidence that at just about the time this book was released, the US specialist classic car insurer Hagerty happened to publish a report discussing why prices of Opels in general and GTs in particular have never taken off. 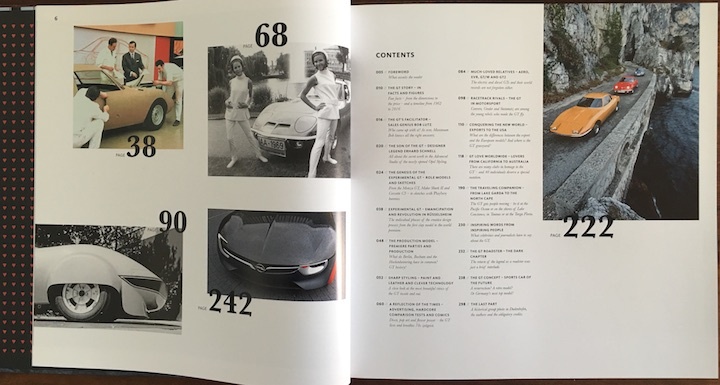 And even though some two thirds of the 103,373 cars produced found their way to the US, outside of enthusiasts’ clubs Americans have little awareness of this good-looking two-seater coupe. One name Americans will recognize is Bob Lutz, the Swiss American automotive executive who rose to Vice Chairman of General Motors who is never short of acerbic comments and brings his combat jet pilot bombast to pretty much anything in his sights. 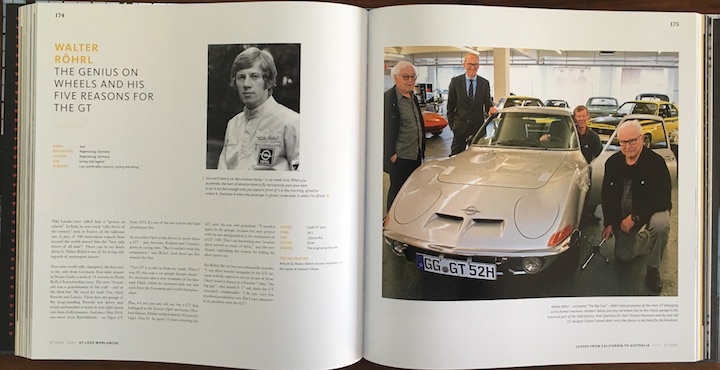 As sales director of Opel (a subsidiary of GM) at the time of the GT he played a key role in its genesis. 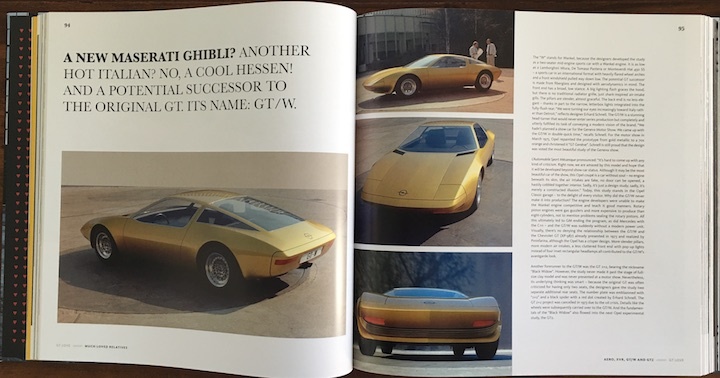 So, when he proclaims the GT totally deserving of its advertising slogan “Only flying is better” (never mind its nominally anemic 1.1L/60 hp motor; 90 hp optional) you better take it serious. 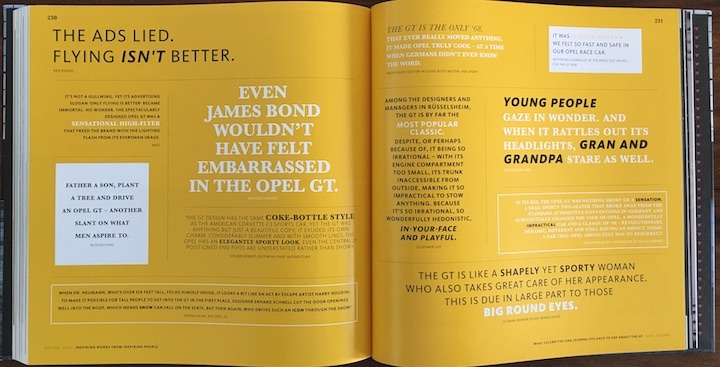 Interviews with Lutz and a host of other Opel folk, especially on the design side, kick off the book. 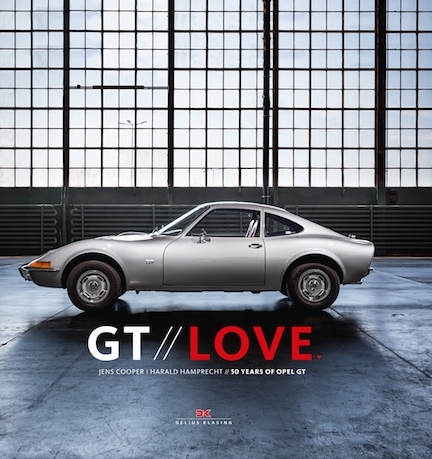 Among all the homage-type books this publisher produces in their “XYZ Love” series, the GT book has probably the deepest bench inasmuch as both authors are Opel lifers. Both apprenticed here; Cooper (b. 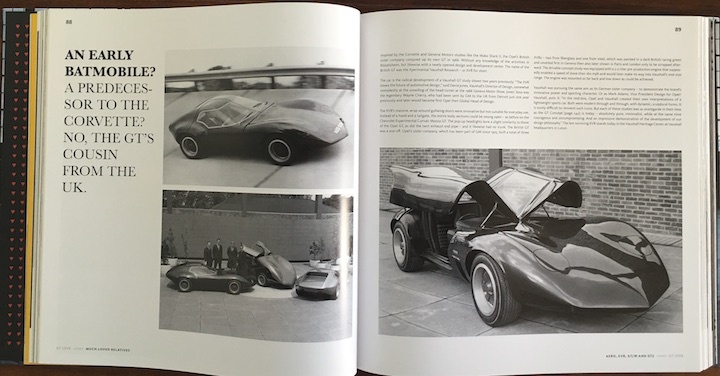 1967) as a mechanic who worked on anything from WWI Opel aero engines to making models and nowadays restoring their museum cars, and Hamprecht (b. 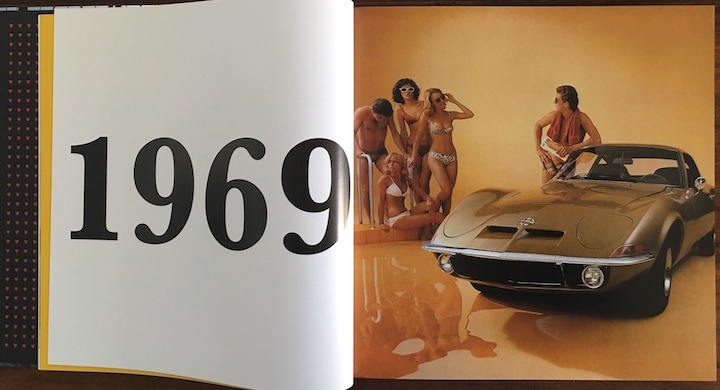 1974) on the PR side and rising to being Opel/Vauxhall’s spokesperson today. It bears repeating that this book is an homage as opposed to a scholarly soup-to-nuts history. 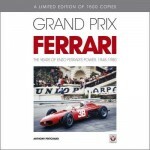 It touches on design and technology as well as advertising and motorsports as much as personalities (principals and also owners). 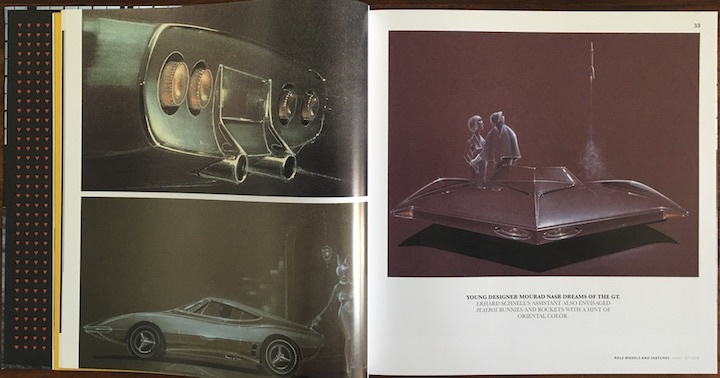 It is superlatively illustrated, creatively designed, and a joy to pick up and peruse. 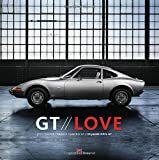 It does not strive to answer every question but it gives a solid and utterly engaging account of why this car matters, what made it special, and why it deserves to be . . . loved. And it’ll make you wonder, to return to that Hagerty story, why these pretty and well-built Opels aren’t more collectible (expensive) nowadays.